ATS (All Time Security) Limited is SIA Approved contractor for Security Guarding, Door Supervision, Key Holding, Close Protection and CCTV Public Surveillance. 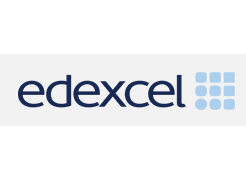 Our aim is to provide a customer focused service that protects the integrity of the sites we are securing, while enhancing the professional image of our customers. ATS is also accredited to ISO 9001 for the provision of security, which means that we are audited twice a year by the British Standards institution. All Time security is an approved Safe Contractor - all our health and safety practices meet the standards of the Safe Contractor Scheme. So, our clients know that they are in good hands. We offer alarm, CCTV & access control installation & a remote alarm/CCTV monitoring service. Bespoke, affordable security packages - remote monitoring, locking/unlocking premises, key holding, alarm response & security patrols. We provide Door Supervisors Services for events such as: clubs/pubs/bars, private parties, hotels, leisure centres and holiday parks. We are experts in rapid alarm activation response and key holding. We provide 24 hour support. We provide professional, experienced, confident, polite, uniformed security guards 24 hours a day 7 days a week. 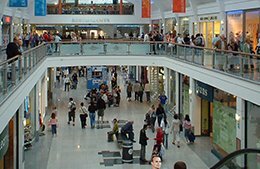 We provide trained security guards and store detectives for all types of retail outlets. They are equipped with customer care skills and capable to deal with loss prevention, civil recovery and conflict management. ATS offers a 24-hour CCTV remote monitoring service for 356 days a year. Which means that your home or business will be kept secure even when you are not around. ATS provides a professional 24-hour remote alarm monitoring service. This means that your building is secured and monitored by fully trained security guard. To make the lives of our clients even easier, ATS provides all the Electrical Security Installation - we offer the latest security technology at competative prices. ATS has chosen to provide a wide range of services to help give clients an effortless way of getting completely secure but without having to deal with numerous providers. There are naturally a number of worries and concerns when you receive the keys for your commercial or residential property, and you will want to ensure that it is protected throughout its lifespan. One of the most popular ways for doing this is by entrusting a key holding and alarm response company who can provide a range of benefits and assurances each day. At All Time Security we have become a leading keyholding and alarm response companies across the UK and can boast a range of qualifications and accreditations to this effect. 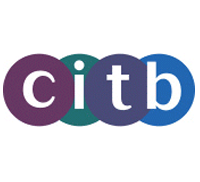 Recognised as SIA approved contractors and able to boast compliance with the British Standard for Keyholding BS7987:2008, we can offer you support with our 24/7 services. Why choose us as your keyholding and alarm response company? We can offer a range of benefits to keep your property secured, such as: intruder response, fire alarm response, locking and unlocking, elderly emergency alarm response, response to possible gas leaks, floods and power cuts and much more. The combination of all of these responsibilities can be entrusted to our contracted team of keyholders who work across the UK. 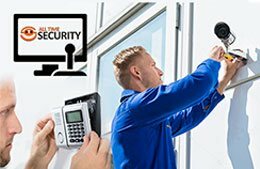 If you are searching for a professional keyholding and alarm response team that can provide you with a range of assurances each day, choose All Time Security. To find out more about our work and to get the best advice for your property, get in contact with us today. In modern times a lot of emphasis is placed on technology, with numerous companies opting for IT solutions to deal with their security problems. Automated security services are extremely expensive to install and upkeep, it is only natural then that companies paying such a large bill question the need for security guards. 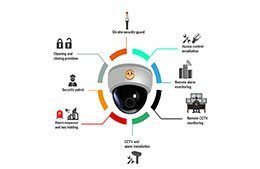 Although technology such as CCTV cameras can act as a deterrent, thieves, vandals and other unwanted visitors are becoming my more savvy as to how they can work around these IT solutions. More skilled thieves have been known to disconnect or destroy cameras before committing the crime and are so skilled they do so without being caught or sufficiently identified on camera. The use of corporate security guard firms may be an old approach, but it has been around for so many years because it works. Here at All Time Security, we are a fan of the ‘if it’s not broke don’t try to fix it’ approach. Professionally trained security guards are highly skilled and trained to detect signs of crime to prevent them taking place. For more information as to how corporate security guards can benefit your business, call us today on 01494 511222. It is vital that you have assurances that your event or property is under control and surveillance throughout the day and night. 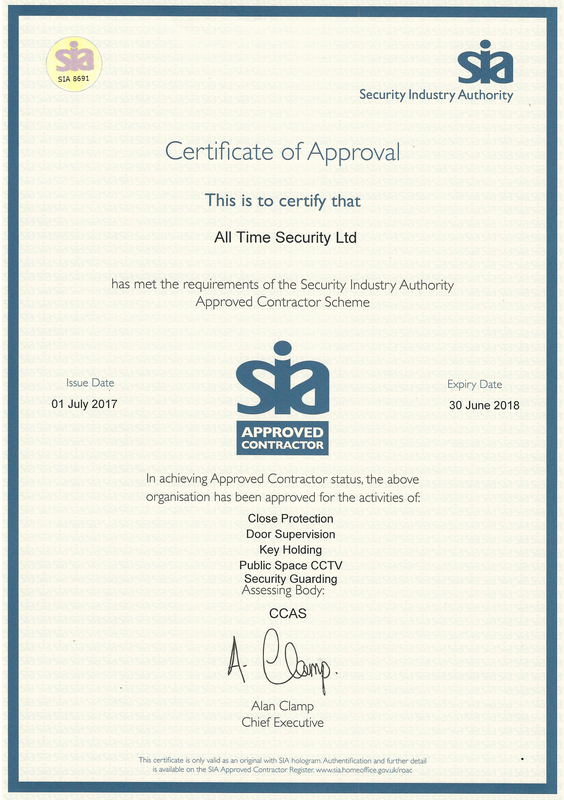 At All Time Security we are regarded as one of the best security contactor companies in the UK for our ability to send you a SIA approved security guard to support your operations. We work hard to ensure that our services are ideal for any sector and every situation, no matter the needs and requirements you have. We have the ability to work with retail companies, corporate events, construction sites and patrol protected lands with our mouldable and bespoke security services. What services do you need from our professionals at All Time Security? When you are selecting and investing in the security of your premises, property or event, you will want assurances that the security contractor company you choose can support your specific requirements. Our SIA approved contractors are available for 24/7 support, alarm monitoring, remote monitoring and we can provide you with security guards, close protection and much more depending on your needs. Our experience at All Time Security is based on customising our services to your needs and ensuring that you feel confident about the security for your event, property and everything in between. If you would like to understand more about our security contractor company, speak with us today. We all want to feel safe in our home. Once we have closed the door, we should feel comfortable, without a single worry other than what to make for dinner, what chores need to be done and which TV show to stick on afterwards. Your home’s security, therefore, is vital for ensuring that you and your family can feel at peace during the day and night. That’s why our professional team at All Time Security have become a leading provider and installer of home security systems that are perfect for the interiors and exteriors of your property. By choosing and selecting All Time Security for our home security systems, you can rest assured that you have reliable and quality systems which you can put your faith in. The question remains, however: how can you secure your home? We use a range of diverse techniques and products to ensure that every aspect of your home is protected from people gaining entry or attempting to dupe you into opening the door. We work with some of the leading manufacturers in the security world to offer everything from CCTV systems, doorbell alarms, window alarms, alarm monitoring and much more to keep your home safe from any potential dangers. Whether you are a landlord or property owner looking for protection against damage and vandalism or you would like to speak with the experts about securing your home, you are in the right place. Get in contact with us to find out more. A building site will contain mightily valuable materials, machinery and vehicles which are vital to the ongoing construction job. Whether it’s a huge sprawling development or the renovation of one singular property, you may need to invest in security to keep these assets safe from people trying to cause problems, steal materials or take your vehicles away. Our building site security guards are on hand to help create a safe and secure barrier around your whole property development area. To provide this array of services, our building site security guards can be used as both short and long-term contractors on your construction site. To find out more about our SIA approved work, get in contact with us today. Securing your premises will already be a point of anxiety and searching for the right people to keep your premises safe will be another to add to the list. You will be looking for experience, accreditations and assurances in the individuals you choose or the company you select. At All Time Security we are on hand to offer our work across the residential, commercial and corporate sectors as a leading SIA approved contractor. This allows us to use our wide-ranging security services to suit the needs of our clients all over the UK, with the assurances that every member of staff is trained to the highest standards. 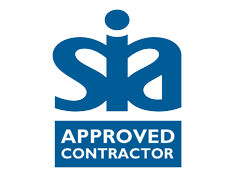 If you are searching for an SIA approved contractor to supply staff and services for your needs, you are in the right place. Why choose our team at All Time Security as an SIA approved contractor? To help combine professionalism with quality, our team are always looking to hire the best staff possible for our roles. These range from retail security patrols, CCTV and alarm monitoring, event security, bodyguard roles and much more to cope with the various needs of our clients – which change all the time. You can guarantee that whenever you entrust our team at All Time Security to provide you with security services that you will have the best possible protection on your side. To discuss your options and to ensure you are confident about the security of your event, property or anything in between, get in contact with us today. Large spaces and areas of land are difficult to protect all of the time. Whether you are looking to get security support for your land, you need to defend your assets from a threat, or you want to ensure your land is secure while you are away, we have the ideal solutions. Our mobile security patrol work is chosen by landowners, homeowners and business to provide personalised protection. At All Time Security we are one of the most reputable mobile security patrol companies and can offer a wide variety of services which are primed to suit your needs and provide you with ample peace of mind. Whether it’s for one day, a week or over the course of a month, our mobile security patrol work comes with an abundance of assurances to keep your assets safe. 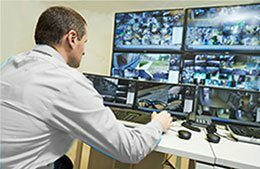 Why choose All Time Security? We are not merely chosen time and time again as a mobile security patrol company in the UK for our experience in the sector. As a SIA approved contractor, we are able to provide you with staff who have been highly trained both internally and externally to perform their role. Whatever requirements you have and no matter the scale of the project in mind, our mobile security patrols could be ideal. If you would like to discover more about our work as a mobile security patrol company in the UK, get in contact with us today. The perfect retail centre, shopping mall or commercial space will be an attractive, lucrative and enjoyable area for everyone from businesspeople, customers, clients, staff and more. Within each unit will mostly likely be expensive equipment, products and an abundance of tools to keep every aspect of the retail centre working at its maximum. However, this can make them an attractive proposition for individuals and groups who are looking to steal, damage or cause trouble. 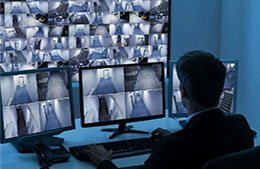 Our solution at All Time Security, as a leading retail security company, is to provide you with the best combination of personnel, alarms, CCTV and monitoring services that can be combined, used and trusted for a variety of settings. From regular security patrols across your retail unit through to 24/7 alarm monitoring, you will find a range of services suited to your requirements. Why choose and invest in a retail security company? We are proud to be regarded as a SIA contractor across the UK and this provides us with the confidence to provide staff to support your operations when you require them. By choosing All Time Security you will be placing your faith and trust in an experienced retail security team who understand how to mould their services around your needs. Discover more about our standing as one of the finest retail security companies in the UK by contacting our team today. Bedford, Ampthill, Luton, Biggleswade, Dunstable, Leighton Buzzard, Sandy. Abingdon, Didcot, Harwell, Hungerford, Maidenhead, Newbury, Reading, Wantage, Windsor. Aylesbury, Beaconsfield, Buckingham, Chalfont St Giles, Eton, High Wycombe, Linslade, Marlow, Milton Keynes, Princes Risborough, Slough. Aldershot, Basingstoke, Bournemouth, Christchurch, Cowes, Newport, Petersfield, Portsmouth, Ringwood, Ryde, Southampton, Winchester, Ventnor. Abbots Langley, Barnet, Berkhamstead, Bishop’s Stortford, Borehamwood, Hatfield, Hemel Hempstead, Hitchin, Hertford, St Albans, Tring, Watford, Welwyn Garden City. Bromley, Canterbury, Chatham, Dover, Folkestone, Greenwich, Lewisham, Maidstone, Orpington, Ramsgate, Rochester, Sevenoaks, Tunbridge Wells, Whitstable, Woolwich. Acton, Barking and Dagenham, Barnet, Bexley, Brent, Bromley, Camden, Chiswick, City of London, City of Westminster, Croydon, Ealing, Edgware, Edmonton, Enfield, Golders Green, Greenwich, Hackney, Hammersmith and Fulham, Hampstead, Hanworth, Haringey, Harrow, Havering, Hendon, Highgate, Hillingdon, Hounslow, Islington, Kensington and Chelsea, Kingston upon Thames, Lambeth, Lewisham, Mill Hill, Merton, Newham, Pinner, Redbridge, Richmond upon Thames, Soho, Staines, Stanmore, Southwark, Sutton, Tottenham, Tower Hamlets, Uxbridge, Waltham Forest, Wandsworth, Westminster, Whitechapel. Abingdon, Banbury, Bicester, Burford, Caversham, Chipping Norton, Dorchester, Goring-on-Thames, Henley-on-Thames, Oxford, Thame, Witney, Woodstock. Battersea, Brixton, Clapham, Croydon, Epsom, Farnham, Gatwick, Guildford, Haselmere, Kington-upon-Thames, Leatherhead, Richmond, Southwark, Wandsworth, Wimbledon, Woking.